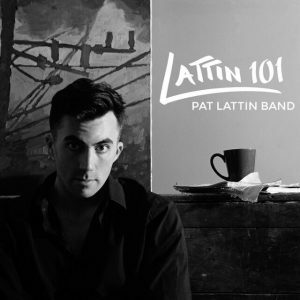 With the release of his new CD, Lattin 101, Pat Lattin is ready to break into the newest echelon of singer-songwriters. A native of Bridgeport, Connecticut, Pat has been serious about music since he picked up his first guitar at the age of twelve. He attended Berklee College of Music in Boston where he studied performance and songwriting. He formed his first bands soon thereafter and recorded several demos. After some time, he assembled a group of studio veterans and laid down an EP. Lattin 101 marks a new direction for Pat. At the helm is fellow Berklee musician, drummer and producer Tyler LeVander. The songs range from ethereal to contemplative to no-holds-barred rock and roll. All have the stamp of something that is not just innovative, but mold-breaking. Flying in the face of conventional artists, Pat Lattin—and his music—defies description. One may hear familiar melodic structure, but then comes the unexpected: complex, unique chord structures; songs with multiple “movements”; rhythmic adventures with wonderfully jarring changes. Unlike some other singer-songwriters, Pat Lattin can play. Acoustic, electric, rhythm, lead, you name it. Listeners will hear subtle nuance, supple backing and scorching leads, all combining in a sound that, quite simply, breaks new ground. “I feel new songs,” says Pat. “Some picking can become a head, a verse or a chorus. I have a simple rule on guidelines: I disregard them. Some songs are culled from others. I just assemble what sounds ‘at home’ to me.” The result: tunes that comfort, provoke, and surprise. Some veer close to a precarious edge but somehow never lose control. They can turn heads and startle, but concurrently seem to bring the listener to a landing—if not a seamless, safe one. Speaking thematically, Pat Lattin compositions touch on friendly discord (“Thanks for the Advice”); a Poe-like walk through the macabre (“Mad Hatter”); the plaint of a lonely sailor (“Edge of the World”), and possibly the world’s first song about a baggage claim (“Queen of the Carousel”). Audiences can pick up Lattin 101 on June 20th. The album will be available via all popular digital outlets. Physical copies will also drop on that date. For more information, contact press@patlattin.com. For the past year I have been doing a monthly segment which I’ve entitled “Who’s Next”. This month’s post is a bit different because its dedicated to an artist who I feel is going to break out as a solo artist, yet has seen various forms of success over the past decade. 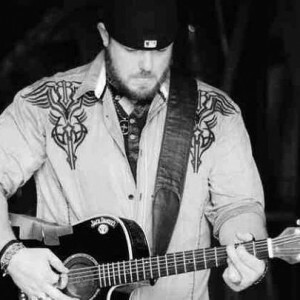 He has penned over 150 songs that have ended up on major artists’ albums, such as Tim McGraw, Kenny Chesney, George Strait, Dierks Bentley, Adele, Luke Bryan, Darius Rucker, and Gary Allan. He was the lead singer of the bluegrass band, The Steeldrivers, for a few years, and even founded a rock band called The Jompson Brothers. 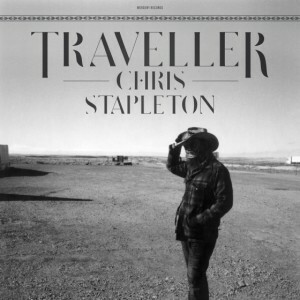 However, on May 5, 2015, Stapleton released one of the most refreshing albums I’ve heard in years, entitled “Traveller”. The album has such an organic and traditional sound filled with songs that are edgy, dark, and moving. The present day’s climate of country music makes the genre seem more like pop music with many of the artists making songs that are shallow and meaningless. Yet, with “Traveller”, Stapleton wanted no part of the bro country phase and instead created a masterpiece from start to finish complete with songs with meaning. MTMS: Do you take a different approach to songwriting when it comes to your solo career as compared to making a song for other artists? 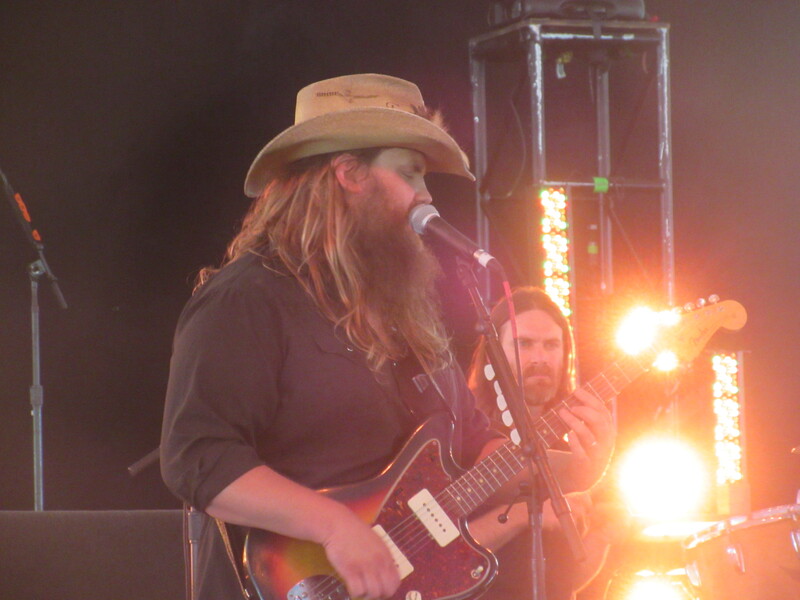 Chris Stapleton: Not really, I just try to write the best song I can each day. That is unless I am writing with another artist specifically for a project. But, I do not sit down with any other intent than to write the best song I can write for that day. Some days you get lucky and make one that someone wants to cut or can be a hit. Other days I just take it as practice at writing a song. MTMS: When did you start writing songs? Chris Stapleton: I’ve been writing songs since I was teenager. Professionally, I got my first publishing deal when I was 23 in 2001. MTMS: Have you recorded any of the first songs you ever wrote? 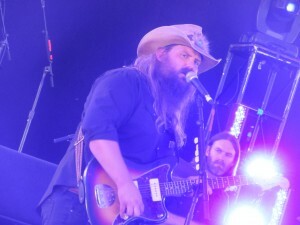 Chris Stapleton: You know, some of the songs that are fourteen, fifteen years old are on this record. “Fire Away” and “Might As Well Get Stoned” are in that range. I have songs that other people cut that I wrote before I even moved to town. Like “Nobody’s Fool” that Miranda Lambert cut, I wrote that when I was 18. Songs hang around and they will find a way if they can do the job. MTMS: Did you expect the huge critical response you’ve received from “Traveller”? Chris Stapleton: I don’t think you can ever expect anything like that. You just have to try to write the best songs you can and sometimes you get lucky. I will say this was a really wonderful and beautiful experience and probably the best one I’ve ever had. It all flowed together organically and if you step back and look at things, it all came together. MTMS: Do you have a favorite song on the album? Chris Stapleton: They are all my favorite songs because I don’t look at them as individually songs, I look at them as a body of work. They span such a long range of time so they are pieces of phases until they ended up on the record. I really can’t pick one because I think they flow together. I really like albums as a whole as much as I can appreciate individual songs, so these all tying together meant a lot to me. 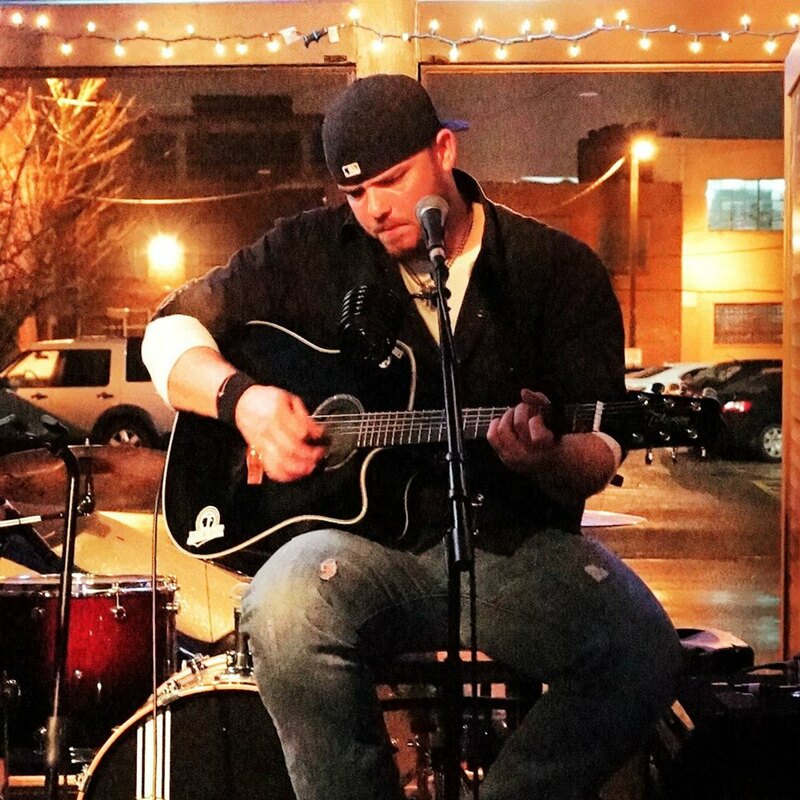 MillertimeMusicSpot: I hear you started off playing guitar, but were primarily a baseball player. Is that accurate? Aaron Watson: Yeah, baseball was my first love growing up. It was definitely my boyhood dream just like every American boy. I had some chances and went on to play baseball in college, but my career was cut short by an injury and that’s when I picked the old guitar up. So when one door closed another opened. But, what is cool is I played home run derby just yesterday with my two sons, Jake and Jack. And playing like this with my boys can rival anything those Major Leaguers are experiencing. MTMS: Being from the tri-state area, where the country fed to us via radio is mainly pop based, I first heard of you when Real Good Time was released. Do you consider that album your national breakthrough moment? Aaron Watson: I’ve tried real hard not to be concerned with the mainstream country world. I am just lost in my old little world here in Texas. You can literally play 150 shows a year and make a good living never leaving the state. About six years ago we decided to franchise outside of Texas, to the Midwest and West coast into the mountain states. And now we have our sites on heading out East. So, Real Good Time probably got my first national exposure that set the table for the success that The Underdog had. MTMS: Willie Nelson, Pat Green, Elizabeth Cook, John Anderson, and more were featured on Real Good Time, what made you decide to go away from the collaboration aspect and just go straight solo in The Underdog? 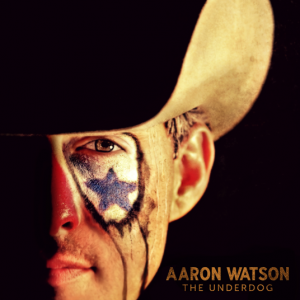 Aaron Watson: I kind of had an idea that this one had something special on it and wanted to make a statement as an artist, songwriter and singer. I did not want people saying of course he did this because he had this guy helping him. I wanted to ride in solo on this one. MTMS: Well, it certainly worked out for you. It hit #1 on the Billboard Country Charts. How did that news hit you and your family? 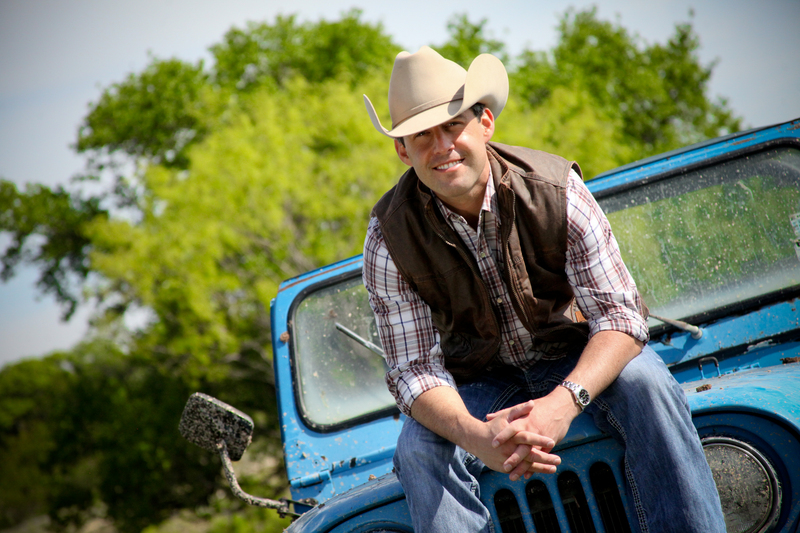 Aaron Watson: It was pretty cool. I try to stay even keel about music and try to get excited about family things. But, I had taken my kids to school and came home and got the phone call in the kitchen with my wife. I may have done a couple double back flips and spun her around with a big kiss. I cannot speak for half of the artists, but this is my job and how I take care of my kids. So, it was more special from a Daddy and Husband point of view. 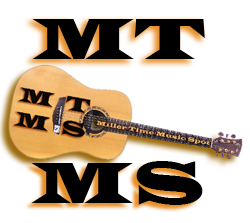 MTMS: The Underdog speaks to me on so many levels from a songwriter and story point of view. I just had my first child this year and the song “The Underdog” has such a positive message to your children. Did you write that yourself? 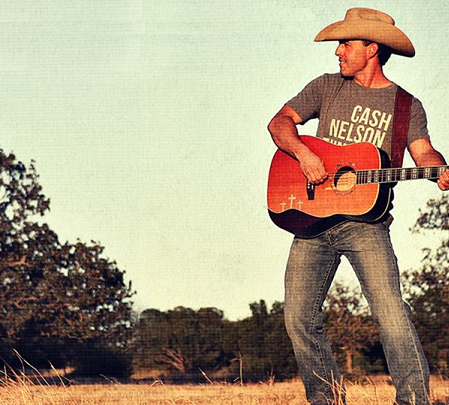 Aaron Watson: Yes, all of the songs on the album except two were songs I wrote. That song I wrote for Jake and Jack. I have a little girl too and I’m working on her song. The princess gets her own song she won’t have to share. I’m trying to raise the two boys into good Christian men who will raise their families with good examples. I am trying to be the same kind of dad to them my dad was to me. Life is tough and maybe when they go to college and they will put on that song and finally get it or maybe after I’m gone. But, it was a special song. MTMS: How did you get the idea to take that approach for the song? Aaron Watson: My middle boy Jack was upset because he was never winning races he had at school. So, after school we would run sprints in the backyard from the porch to the fence. And one day he came home like he won Game 7 of the World Series. And that taught him if he wants something he has to go earn it and that is how my career has been. No one has handed me anything on a silver platter. There’s been more discouragement than anything, but it just fuels my fire. MTMS: Was the process in making the record different than the others especially with a new producer and from the indie aspect? Aaron Watson: Originally the first song on the record was going to be “Freight Train” and one day, it hit me that that wasn’t supposed to be the first song. Along the way leading up to this album, we had some interest from some labels, but ultimately I told my wife that we were going to leave this album in God’s hands. I should have put all the Glory in his Hands because this went number one and I think I am the first artist ever to hit number one from an independent stand point. MTMS: Sonically, the song “The Prayer” is as good as any I’ve heard thus far in 2015. And it is a deep song, what can you tell us about that track? 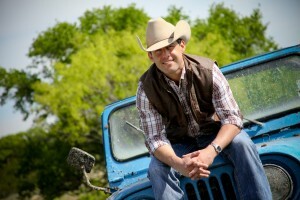 Aaron Watson: I wanted the first song to sum up what I’m about. And I read this book by Johnny Cash called “The Man In White” and it’s an obscure hard to find book he came out with in the 70’s. He takes Biblical accounts of the Apostle Paul and makes up stories around those. And Johnny Cash one year was having a bad year and went into a cave near his house trying to kill himself. So, I made “The Prayer” as if it was something Johnny would say in the cave from the point of view Johnny was doing in the book. MTMS: With that being the first song on the album, the last one is “Fence Post”. I was a song that when I heard it, I just smiled and said this guy is enjoying with what he is doing. Is that also from a true story? Aaron Watson: Totally. It’s about sticking it to the man. I wrote that song while driving to a political gig in Austin. I’m not a political guy, I have my beliefs, but will argue baseball, not politics. And I drove to this gig at night in my Jeep by myself and wrote it then. I finally finished it when I was doing edits for the album with a young engineer at Keith Stegall’s studio at 2 in the morning. I said “hey man, set me up with a microphone”. He did not want to because he said Keith wouldn’t like it. I told him he wouldn’t lose his job and he set up a microphone. I sang it twice that night and sent it to a buddy in East Texas to play a little guitar and fiddle on it to make it sound like we were messing around on the porch. It’s just a fun song and I’ve enjoyed how people relate it whether you are from Texas or not. Everyone has their fence post moment. No one should give up or be discouraged, it really has that Underdog message in it. MTMS: Despite Nashville not opening its doors to you, I know the Grand Ole Opry did a few weeks ago. How was that experience for you? 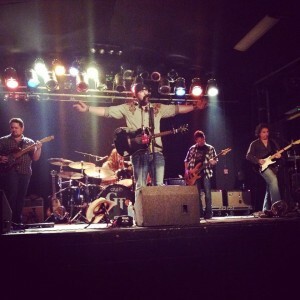 Aaron Watson: I am always playing shows and take them day to day. I never try to think about the next one and did not really realize the extent of the opportunity that the Opry was for me. We got out there and I had my wife with me. My parents were celebrating their 40th Anniversary and I could see them. It was a magical night for me and I was very nervous. But, when I got on that stage I just flicked the switch and played ball. What added a few butterflies was seeing Steven Tyler and Charlie Daniels on the side of the stage watching me. It was incredible. MTMS: How is your relationship with Nashville today? 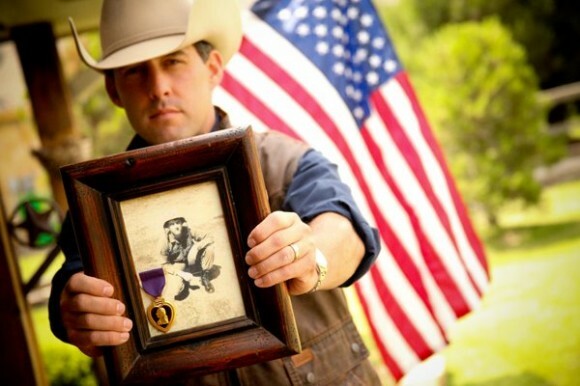 Aaron Watson: The thing is I have not rejected Nashville, its Nashville that hasn’t accepted us. And I am not mad about it because maybe this is what God has planned for me. Maybe Nashville will come around and I won’t have a problem working with them. I have great friends and allies in Nashville like my booking agency and distribution agency. But, I will never ever ever ever sign a record deal who betrays who I am. Every song and decision I make, I will make sure I stay true to my Faith, Family, and Fans. I may have been born thirty or forty years too late though. If you watched the ACM’s a few weeks ago you did not see many cowboy hats in the crowd. And I think Nashville knows we are a force to be reckoned with. They can’t say I am not a country singer. We had the #1 record in the nation and I had Nashville executives tell me that was impossible. MTMS: What I love about your music is the attention to songwriting and actual real life moments, not just a party with a truck and beer. Aaron Watson: Exactly. The song “Bluebonnets” is about how my wife and I lost a little girl. That’s the song I wrote for her after she passed away. People deal with heartaches. I can write about my situation and how I got through it and maybe it will help someone. Music helps me and is therapeutic. And I’m making a new album now and it needs to be different that my past albums. Songs should be little movies, like little short flicks. That is what brought me to music, guys like Guy Clark. And while I write this record, I will not listen to mainstream country radio. I want no influence. I do not care if I get played on the radio and will keep working as hard as I can for my fans. MTMS: And your fan base is growing bigger and bigger by the minute these days, no? 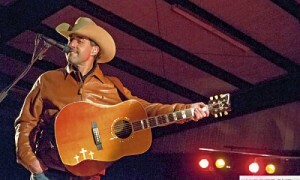 Aaron Watson: I have the best fans in the world and I try to treat them like a million bucks. After every show I stay to meet every single one of them. And they know when they buy an Aaron Watson album they are buying my little girl a pair of shoes, or a new baseball bat for Jake Watson. Or my wife, who shops online and has a serious spending problem, so they help me pay off her credit cards each month. But, my fans love my wife who is obviously my better half. It’s almost like we have a Mom and Pop Diner and we have fans who are loyal to come support our family business. MTMS: I’ll be reviewing your show in New York City next Wednesday at the Mercury Lounge. Is this your first New York City gig? Aaron Watson: You bet it is. MTMS: What does playing New York City mean to you? Aaron Watson: Well, I’ve already been informed by my boys that I have to pick up something New York Yankees for them. But, they like the old Yankees not the new Yankees as much. We are talking Mantle, Ruth, Berra, and DiMaggio. And I am just excited for New York overall. I mean, I am from Amarillo, Texas so I am excited. It is an honor. Jarod Foster released a self-entitled album this week that is equally refreshing and entertaining. Foster’s ten song release incorporates every spectrum of the country lifestyle from love to recession to having a good time, but he does so with an originality and twang that is missing from most of the current pop country acts that so dominate country radio. 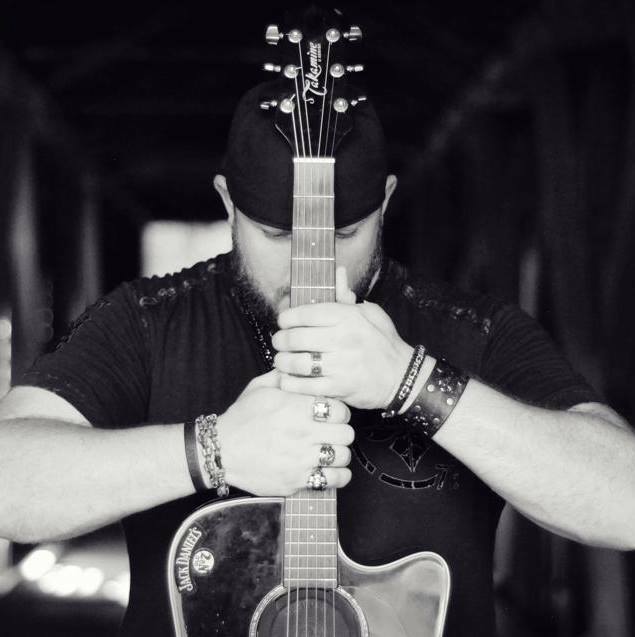 Right off the bat, Foster comes out swinging with “Ray Ray’s”, a song previously recorded by Jamey Johnson and written by Wayd Battle and James Edwards. Foster holds his own on the track as he has a deep and throaty voice with a pronounced bravado when he annunciates that has shades of Jamey Johnson and Hank Jr.. Foster pays tribute to the working class American people on strong songs such as “Burden of a Workin’ Man” and “We Did It”. His voice really shines on a beautiful song called “She’s an Angel” which I could easily see being played on country radio as it has a smooth sound sonically with lyrics that are relatable for anyone who is in love with a woman. MTMS: So, right off the bat on listening to your album I heard “Ray Ray’s” and it brought me back to Jamey Johnson’s version. Are you two friends at all? Jarod Foster: Yeah, we used to be but have sort of separated over the years. But we had a mutual friend, Wayne Mills, who was murdered in November 2013. Wayne had met Jamey Johnson and they were doing a show in Montgomery when he called me and said wait until I heard this guy. And I went to go listen to him and, man, he just blew me out of the water. MTMS: So you are originally from Alabama? Jarod Foster: Yes, Vincent, Alabama. Jamey was one of the guys who convinced me to move to Nashville eleven years ago. He told me that is where I needed to be to get things started. At that time Wayne (Mills) had a lot of things going with the Alabama Line. MTMS: Since the move what have you been doing music-wise? Jarod Foster: I’ve played my music and other people’s music since I got here. I’ve opened for great acts like Lee Brice and Randy Houser. And I’ve now recorded five albums, but this is the first I felt was good enough to release. MTMS: How long have you been writing songs? 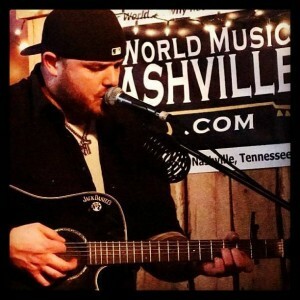 Jarod Foster: It’s funny, I’ve been writing songs since I was in the 4th grade. My mom told me you know your songwriting has come a long ways since the 4th grade and I said, “the fourth grade?” She then told me that I had a girl who I was “dating” then come over for Dominos by Candlelight. I recorded a song for her on a handheld tape recorder and she still has it. She said when I get my first CMA award she is going to release it. MTMS: Besides “Ray Ray’s” did you write the rest of the songs? 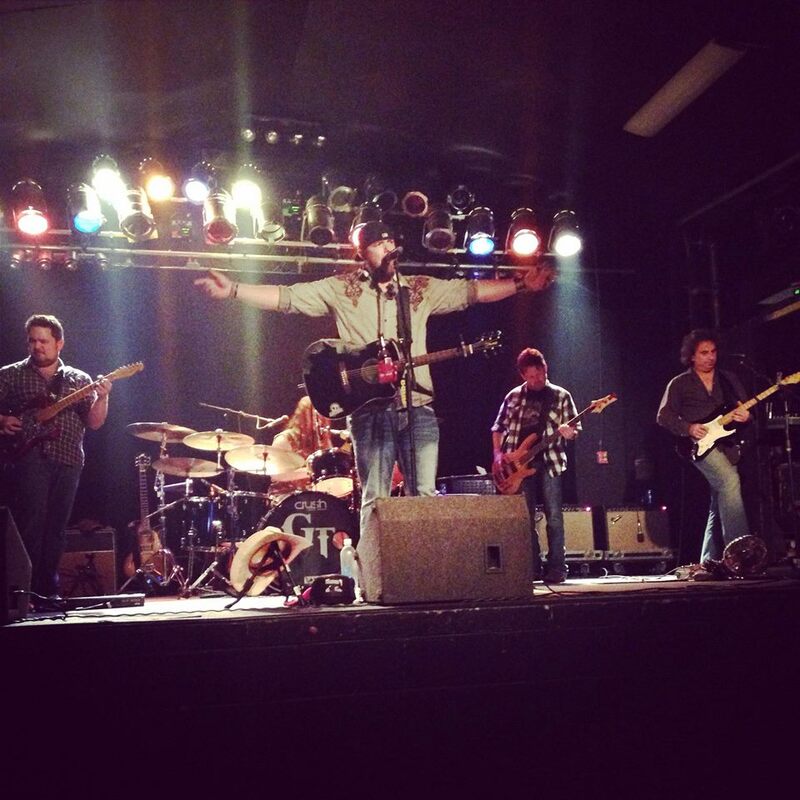 Jarod Foster: All except “17” which was written by Cody Canada and recorded by Cross Canadian Ragweed. Cody has helped me a lot introducing me to the road and introducing me to the Randy Rogers Band. I met him when Ragweed was touring with Dierks Bentley in 2003 when they were playing in Jupiter one night and the night before I was opening for Wayne Mills. Cody heard me play guitar and we hung that night so “17” was my tribute to Cross Canadian Ragweed. I co-wrote “Rosalita” with Calvin Webster and my wife helped me write “Moonlight Kiss”. The rest I wrote myself. MTMS: Was “Rosalita” written from a personal experience? Jarod Foster: That was Calvin Webster’s personal experience. He was in the Marine’s posted in San Deigo and he and his buddies went down to Tihuana. I guess that is what all Marines do. MTMS: I like that this album spans the spectrum of country living, any song in particular represent who you want to be personified as? Jarod Foster: “We Did It” is probably my favorite song on the album although its hard to pick and choose. I grew up in a small town and its a place I always wanted to write a song about and I wrote that song three weeks before our second son was born. I think I wrote it in six or seven minutes. It relates to small town America and the recession people are going through. I released a Youtube video of it and got a lot of feedback from people who related to it. MTMS: I know you are signed to RP Entertainment Nashville, what can you tell me about that relationship? Jarod Foster: Heidi reached out to me a few years ago after I did the Wounded Warrior Project. So I met her and stayed in touch with her professionally for a few years until she told me what she was starting. When she asked me if I wanted to be part of it I told her absolutely. MTMS: For anyone who doesn’t know you and your music yet, what could you tell the fans about your style? Jarod Foster: Its original and not cookie cutter. It’s based off of real people I’ve met and real experiences. I’ve pretty much written it all myself so its all me. If there is a story chances are I will write a song about it down the road.